“Sacrifice causes immense pain and suffering to the innocent animals. The innocent animals cannot be permitted to be sacrificed to appease the god/deity in a barbaric manner. Compassion is the basic tenet in all religions. The practice of animal sacrifice is a social evil and is required to be curbed.” with these words, the Himachal Pradesh High Court today banned the sacrifice of animals in temples in the state. Animal sacrifice has been prevalent in many areas of Himachal Pradesh with the government stating that goat and sheep are slaughtered during festive seasons in Shillai area of Sirmaur district. 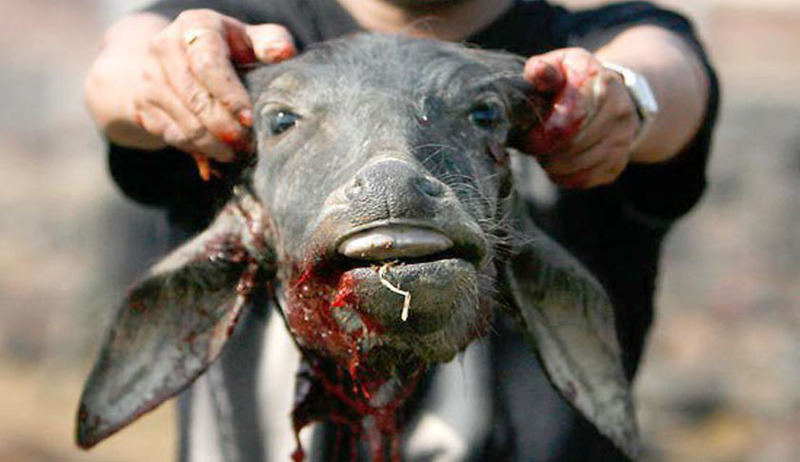 Animal sacrifices also take place in Mandi district, where goats are sacrificed are occasion of Ashtami. Also, in some temples in Rampur, Rohru, Kotkhai, Jhakri and Chirgaon areas (in Shimla district), sheep and goats are offered to gods. The Court issued a directive to the Government saying there would be no sacrifice of any animal in any ceremony or 'yagya' or congregation or procession connected to any religious worship in a public street forthwith. The Bench had also observed that “"A startling revelation has been made in the manner in which thousands of animals are sacrificed every year in the name of religious worship." The judgment, a landmark one in the area of animal rights, is also a great example of law acting as a tool of social engineering with the Court ordering that the barbaric practice be brought to an end.